Small 4 Style: Watters & Watters Dress Sample Sale This Saturday! Watters & Watters Dress Sample Sale This Saturday! 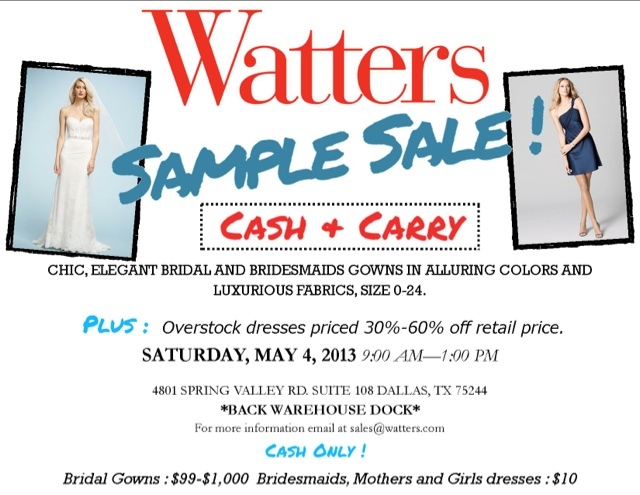 Bridal dress company Watters & Watters is hosting a sample sale on Saturday May 4th in Dallas. Watters dresses are known for their chicness and beauty. Wedding dresses will be between $99 to $1,000 and bridesmaid dresses will be $10. You just can't beat that.